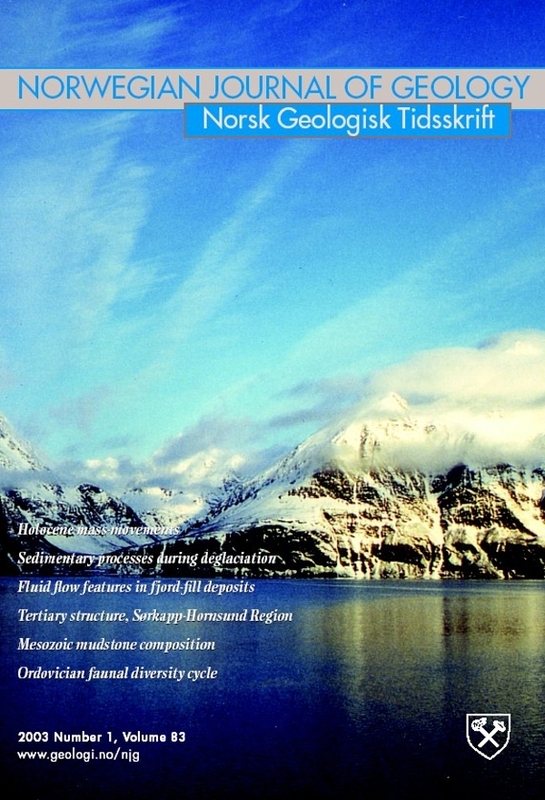 Fluid flow features are found with high-resolution acoustic data from Ullsfjorden, North Norway. The glacimarine and marine fjord-fill sediments have a total thickness of up to 150 m. The seafloor is characterised by many pockmarks and some dome structures, indicating the presence of fluids in the sediments. These features are associated with acoustic signatures attributed to gas charging of the sediments. Linear alignment of several of the pockmarks may be related to the presence of tectonic lineaments in the basement, feeding thermogenic deep earth gas. Another possibility is that groundwater seepage followed these tectonic lineaments.